In these times of hyper-accessibility, emulating a foundational style is rarely enough anymore; groups are forced to dig deep into their creative sensibilities to create something that, while still familiar, is simultaneously different enough from what we've heard already to be interesting. 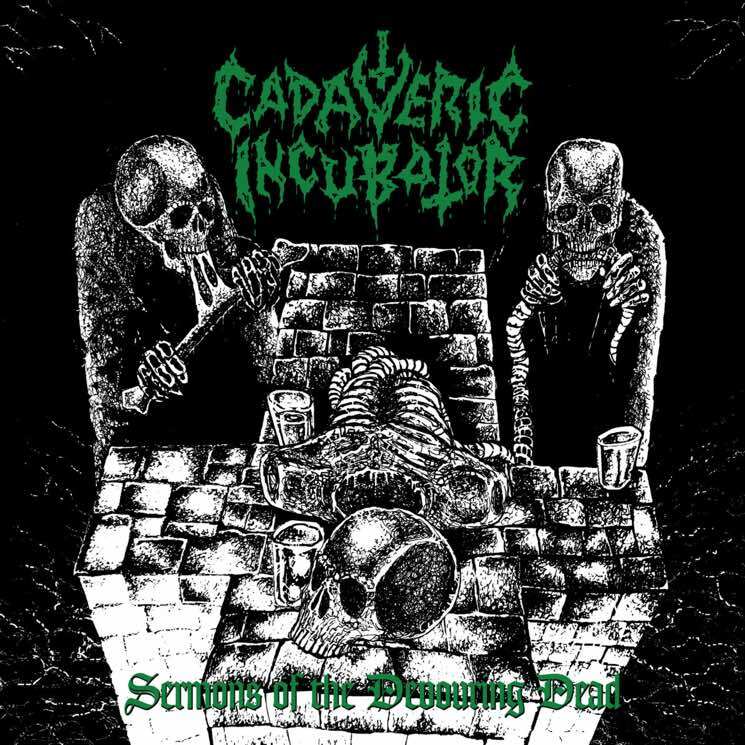 Enter Cadaveric Incubator, a Finnish death grind trio whose debut full-length, Sermons of the Devouring Dead, a grotesque mass of stitched-together genre limbs, forms a singular rabid creature of vile beauty. At its putrid core, Cadaveric Incubator are a death metal band, laying down the bloated, chugging riffs and thundering drumwork one would expect. 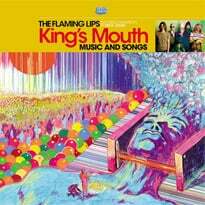 But what makes them stand apart from the masses is their tendency to stray sonically while still retaining a solid foundation, resulting in some truly surprising song twists. For instance, the song "Swarming Decay" feels like the spawn of Cannibal Corpse and Napalm Death, perfectly fusing hurried blasting sections with an undeniable stomping chug later in the song, while a track like "Covenant of Gore" is total death-thrash worship from the get-go. In proper grind form, most tracks barely crack two minutes, which allows for a plentiful offering of variation, like a serial killer's many flesh trophies from victims past. The overall sound production on Sermons stands out too, being just clear enough while still sounding like swishing, liquefied human remains through your ears.